Poorly defined details, combined with rough surfaces, help expose a spurious silver coin. 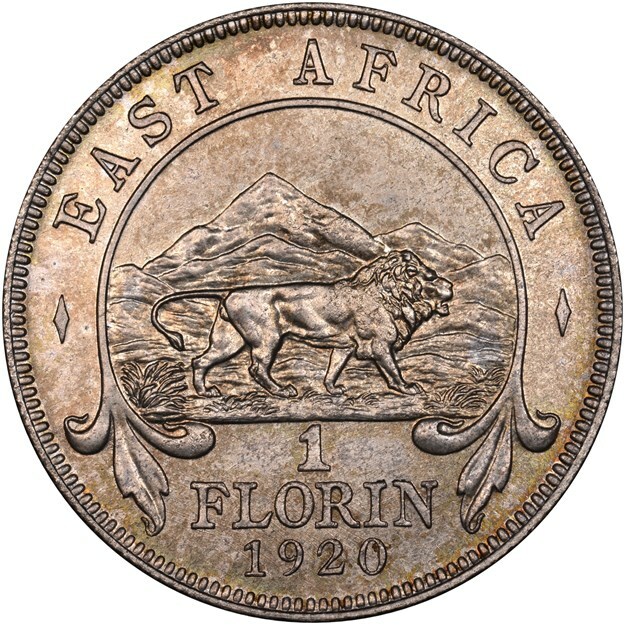 Although nearly 1.5 million East African florins were struck in 1920, a specimen can be worth hundreds of dollars today, especially in higher grades. Authenticators at Numismatic Guaranty Corporation (NGC) are always on the lookout for counterfeits, and, sure enough, a spurious example of this coin recently was submitted for certification and grading. 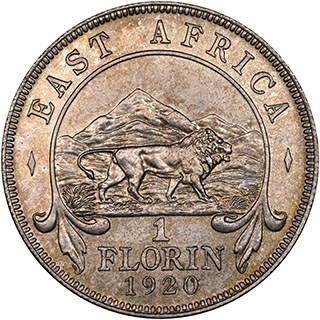 The counterfeit 1920 East African Florin has the correct silver content and weight, but its surfaces are rough and its devices are flat. 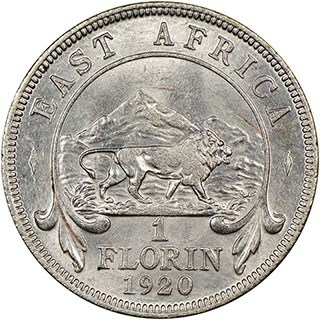 At first glance, the counterfeit florin shown here likely would fool many collectors. It is struck in silver and is the correct weight. However, when it is compared to a genuine example, such as the one shown here, the differences quickly become obvious. The authentic issue has a naturally aged appearance, as opposed to the counterfeit, which looks like it could have been struck yesterday. The fake also has very weak details, particularly on the high points of the obverse and reverse. 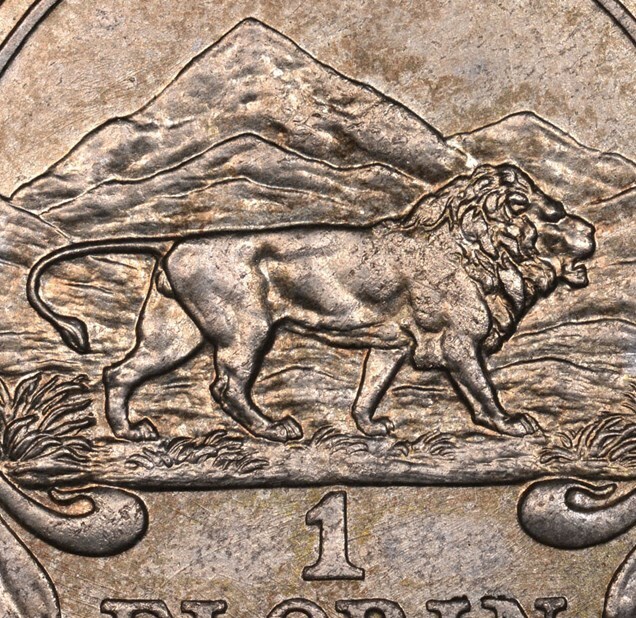 However, genuine coins are known to have weak strikes as well, thus lack of detail alone is not a reliable diagnostic. 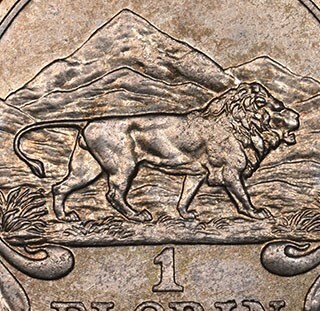 Often it is necessary to take a closer look at the coin itself, including its surfaces, strike and details. An authenticator must consider all these aspects, both independently and together. While a genuine example might have a weak strike, it likely would not also display the poor details or unusual surfaces typical of a counterfeit piece. 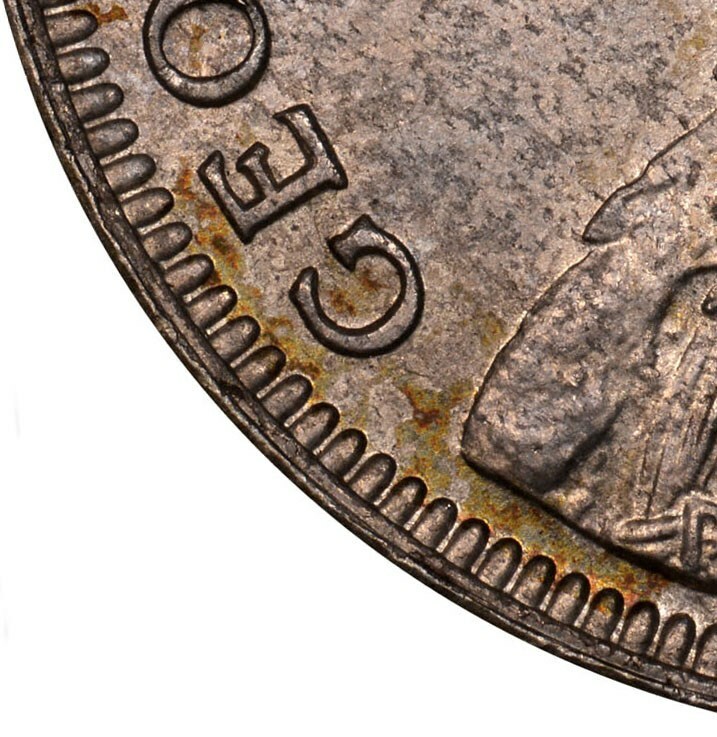 The rim on the counterfeit (left) is poorly delineated and appears to blend with the denticles. 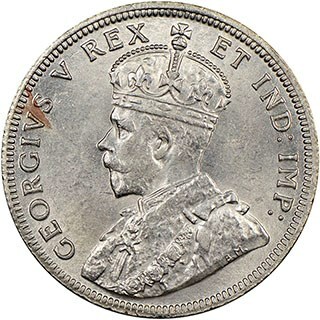 For example, the portrait of King George V is noticeably flat, and the rim is poorly struck between 5 and 9 o’clock. 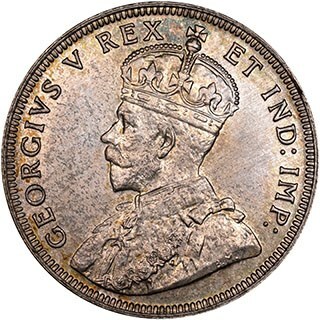 Instead of having a sharp definition between the rim and the denticles, as is the case on the genuine coin, the rim appears to meld with the denticles, as the striking pressure was not enough to fully form the rim. This diagnostic is common to lower-quality fakes. 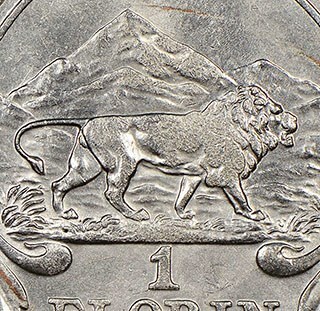 A comparison of the lion on the reverse reveals a rough texture and lack of definition on the counterfeit (left), the result of insufficient striking pressure. The reverses likewise show notable differences, particularly in the lion. On the counterfeit, note the rough texture on the high points of the image. 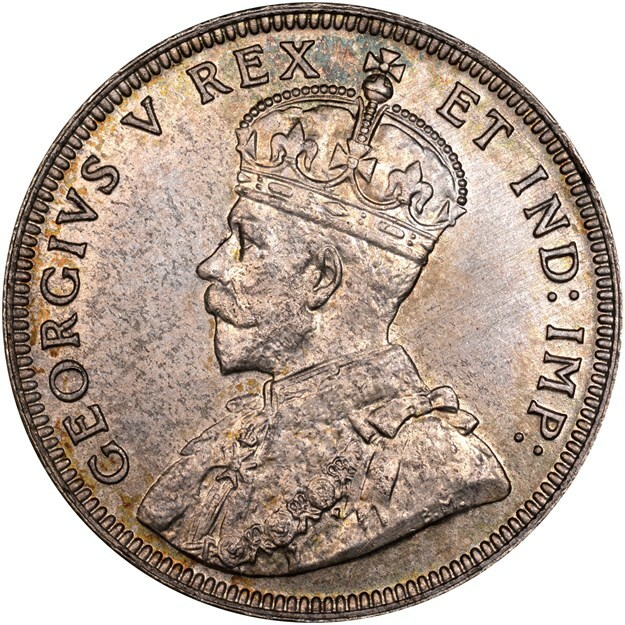 That pebbly surface is on the planchet itself, which did not adequately fill the die because of insufficient striking pressure. Clearly, the forger’s press was not as strong as that used to strike the originals. A professional grader would instantly recognize the counterfeit simply by the appearance of its surfaces. With careful examination and study, a less-experienced collector probably would come to the same conclusion.